Close your eyes and think of New Zealand. What is the image that pops up first or most vividly in your mind? To the fans of the trilogy Lord of the Rings, this is the spectacular land that makes “Middle-earth” come to life with her deep fjords and massive expanses of empty landscapes. To the adrenaline-seekers, New Zealand is deservedly the adventure tourism capital of the world known for its lofty collection of places for bungee jumping, tandem skydiving and mountaineering, just to name a few. And who can forget her wines and vineyards? I’m not great with alcohol, but I still can’t resist a glass of Sauvignon Blanc with its bold yet balanced fruitiness! 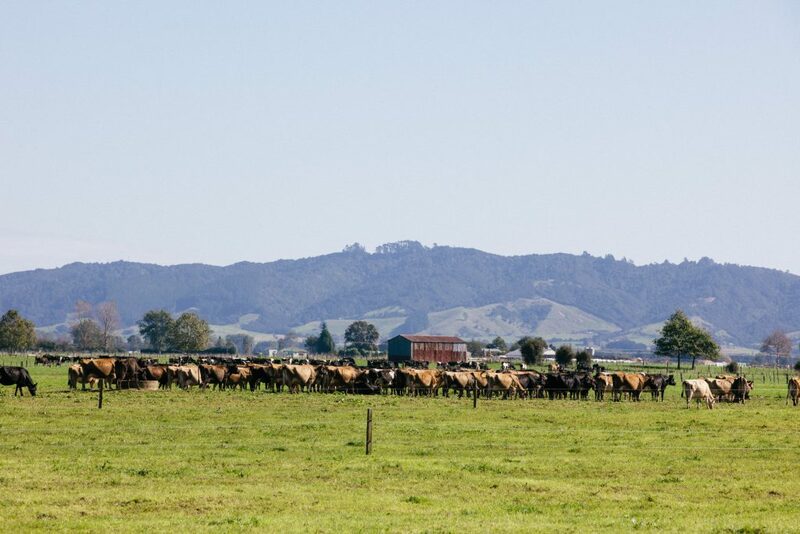 All that said, my first and lasting image of New Zealand has got to be the sheep, the cattle and all things dairy! How many of you remember the commercial in the 90s with its famous line that claimed New Zealand had as many cows as Singapore’s human population then? To me, New Zealand will always be a land of plentiful, gorgeous fresh dairy produce and green grass pastures. It’s thus most befitting to go on this trip with Fonterra, a co-operative owned by some 10,500 New Zealand dairy farmers. With a history that goes as far back as 1871, we couldn’t have found a better host and partner in our quest to taste New Zealand and uncover its culinary gems! The story of New Zealand, we were told, begins with the Māori. The first inhabitants of the country, the Polynesian ancestors of the Māori were said to have moved through the Pacific in double-hulled canoes more than 1,000 years ago, bringing with them root vegetables like yam, taro (a starchy tuber) and kumara (sweet potato), and their native dog, the kuri. The climate was a lot colder than the tropical home of the Māori so many of the crops they brought along were unable to grow. The kumara, however, survived and thrived, and together with the abundance of marine life and large flightless birds found particularly in the South Island, the Māori were able to settle down to a permanent living pattern and a highly organised culture. Tucked away and isolated near the bottom of the globe, the islands were elusive to many, and remained the domain of the Polynesians, even after an initial 1642 sighting by the Dutchman Abel Tasman. It wasn’t until Englishman James Cook’s meticulous navigation and observation in 1769 that the Europeans caught sight of Aotearoa, “the land of the long white cloud”. The original settlers called themselves Māori, literally meaning “normal”, while the Europeans were referred to as Pakeha, the “foreign”. 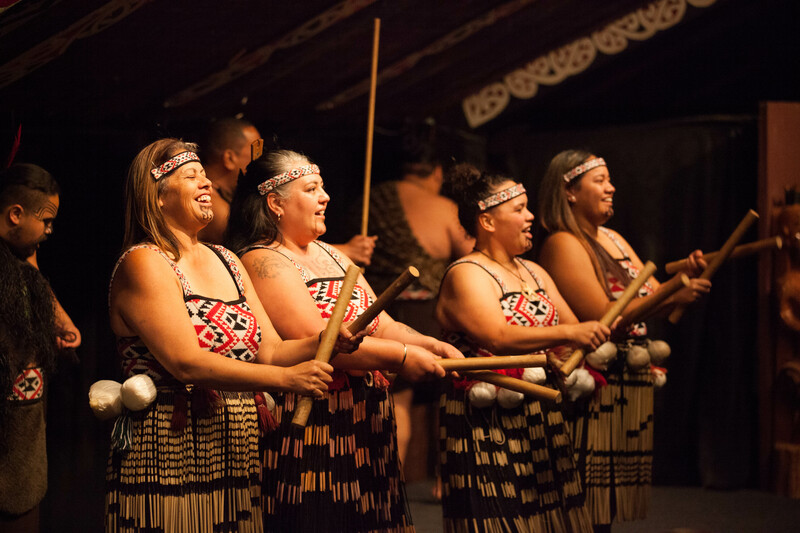 A trip to New Zealand wouldn’t be complete without an immersion into the Māori culture! The Māori currently make up approximately 15% of the population. The society is largely tribal and different tribal groups hold fast to their oral history, shared through chants, rituals and storytelling. Over the years, despite the dominance of the Anglo-European society in New Zealand, the Māori identity remains distinct. Basic tenets of the culture are strong as ever, with formal rules and protocols governing daily urban events and situations. 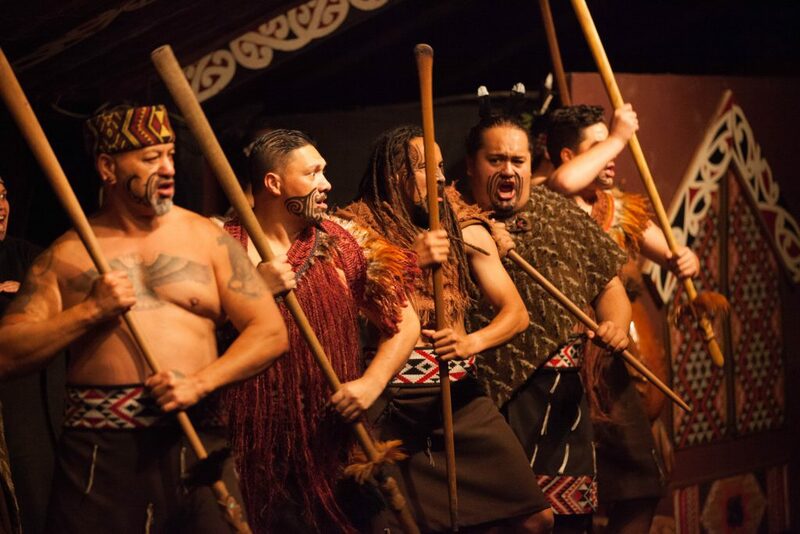 The most famous Māori ritual is probably the haka. You may have seen the haka being performed at international rugby matches by the New Zealand All Blacks. 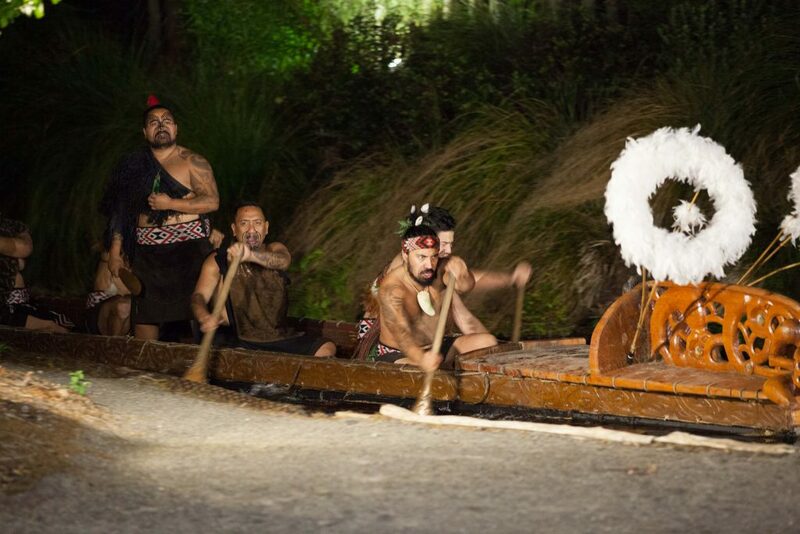 This is a traditional Māori dance with an intimidating thigh-slapping, loud chanting, eye-bulging display with flickering tongues, designed to display dominance, fitness and agility. Visitors may not enter the marae (referring to the community, social grounds of the Māori) uninvited. The tradition is for a fearsome warrior to determine intent of the visitors with a ritualistic challenge, followed by a welcome call and ceremony by the women. Before entering the Tamaki Māori village at Rotorua nestled in a 200 year-old Tawa forest, the women make a powhiri, a sung welcome call, followed by a fearsome challenge by a group of warriors and an exchange of peace. The welcome ceremony continues with dancing, soul-stirring harmonies of traditional waiata (meaning ‘song’ in Māori) and a sharing session on the tattoos the Māori carry. The tattoos are not only stylistic expressions, but also significant indications of the tribes the Māori belong to. As with many of my food-centred travels, this trip to New Zealand is a personal desire to uncover the Kiwi gastronomy. 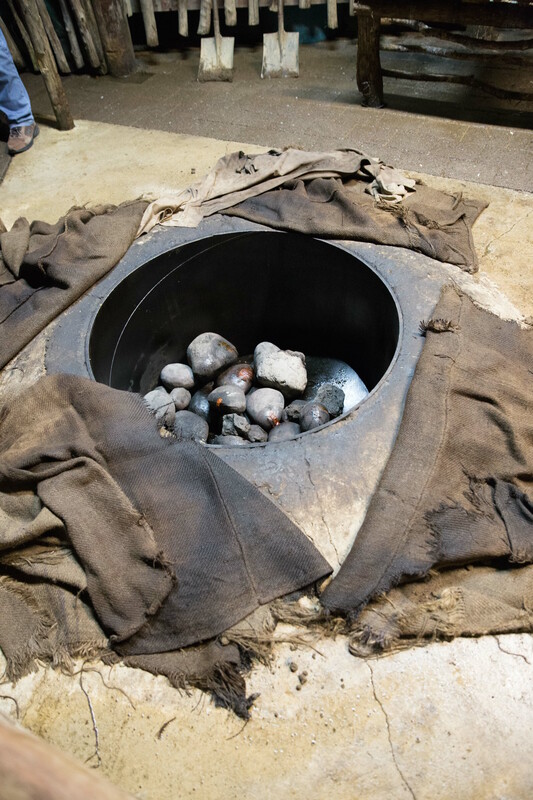 At the Māori village we visited, we were treated to a traditional hangi (pronounced nasally as “hungi”) meal, cooked underground in an earth oven with hot stones. 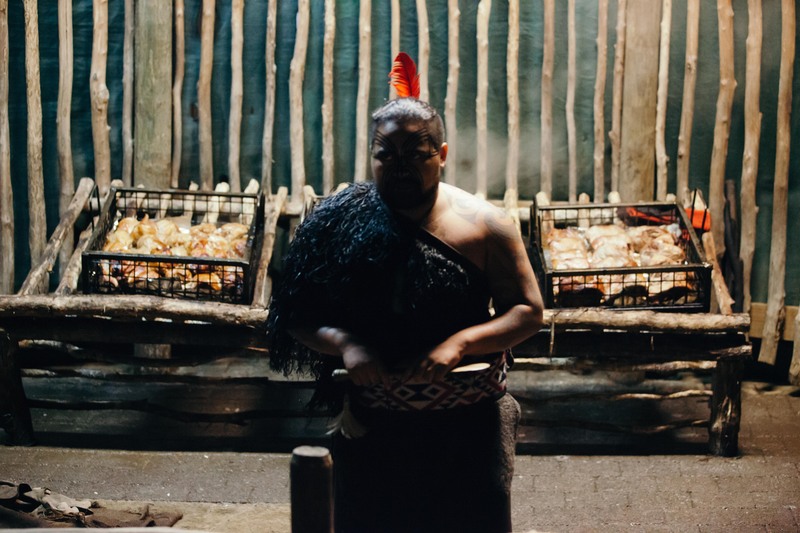 In the face of Anglo-European influence and other culinary cues from globalisation, how is the Māori food holding out? How has the young country been shaped by the original inhabitants and the subsequent settlers? 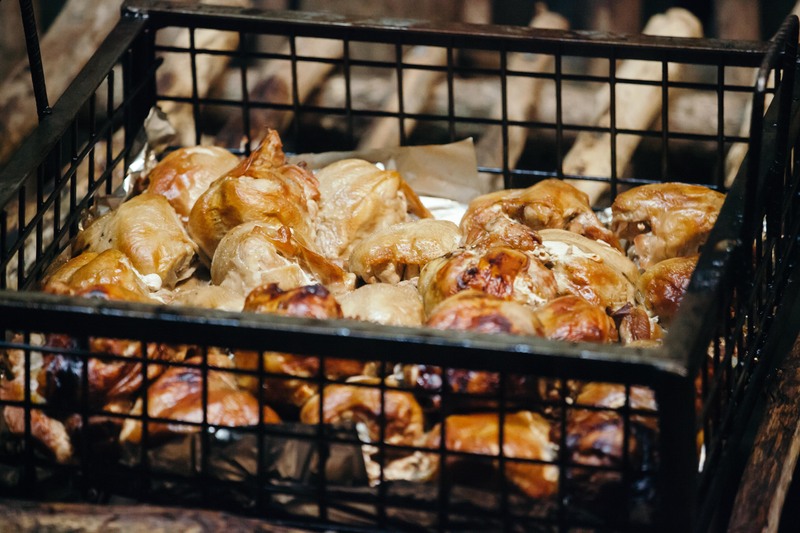 What is the quintessential New Zealand cuisine? Is there even one? We journey on. It all starts here.